TOEFL®. If English is not your native language, you must submit a Test of English as a Foreign Language (TOEFL) score. Many institutions require a minimum score of about 80 on the Internet-based (iBT) TOEFL, about 213 on the computer-based version of the TOEFL (a version of the test no longer offered), or about 550 on the paper-based version for both undergraduate and graduate students to enter their academic programs. A few schools may not require the TOEFL if you completed high school or college in the United States or if you graduated from a four-year, degree-granting institution where English is the language of instruction. SAT® Subject Tests. 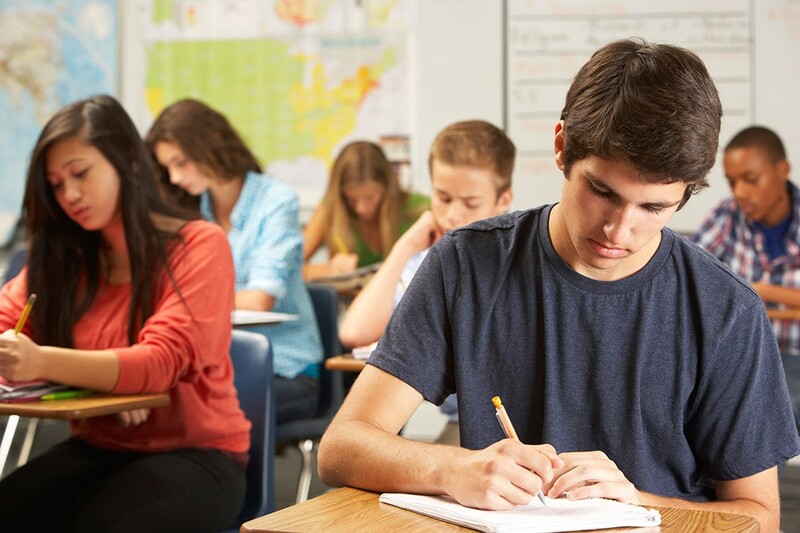 Each SAT Subject examination tests knowledge in a specific subject area. One or more may be required of some undergraduate applicants. GRE®. Most graduate applicants are required to submit results on the Graduate Record Examination general test and sometimes subject tests as well. Some graduate programs require a minimum 450 verbal score on the general test; others may also have a 420 minimum required on the quantitative section. Minimum scores will vary from university to university. Some do not have minimums but will weigh scores with undergraduate grades and other elements of the graduate school application. GMAT®. Graduate applicants in business- and accountancy-related areas usually must take the Graduate Management Admission Test. (Applicants to some programs may have a choice between taking the GMAT and the GRE.) A minimum score of 500 is often required, with a score of at least 25 percent on the verbal portion. Again, requirements vary from program to program. When should I take university entrance exams? Begin your testing plan at least one year before you wish to start your academic program. The U.S. school year begins around the end of August and ends in May. Many universities have application deadlines in December for school entry the following late August/early September. Organized university applicants take TOEFL and other exams in September, a year before school entry. International mail can be slow and unreliable, and you will also need time to register for and take standardized tests. This also gives you time to take tests a second time if you are not pleased with the results and to request score report mailings. Where do I find information about the tests? The Educational Testing Service (ETS) develops and administers the TOEFL and GRE, and details can be found on their Web site. You can find the most detailed information on SAT on the College Board site. The GMAT, is developed by the Graduate Management Admissions Council (GMAC), You can find test information as well as useful information about business studies in general by visiting their student site. AMIDEAST offices maintain test registration forms. Most also offer a service to help you register and to allow payment in your own country's currency or you will usually also be able to register online from the test’s Web site. Arrive 30 minutes before the assigned test time. Check-in procedures take time. If you arrive late, you may not be admitted to the test, and you will forfeit your test fees. Bring identification, as specified on test Web site. What should I do if my test scores don’t arrive in this time frame? You should get in touch with the testing agency by telephone, e-mail, or fax. Contact information is listed below. Be sure to provide the following information in your correspondence: your name, address, birth date, and test registration number. You should also provide this information if you have another question or if you need to request additional score reports. For many tests, information is provided online as well as in written form. Universities may be willing to check your scores online rather than waiting for the paper score report, depending on the policy of the particular institution. Who do I contact if I have score report problems or other questions on tests? You can find more details on different U.S. tests on this site. While you will need to contact testing agencies to resolve individual score report or registration problems, if you have any more general questions on tests not already answered on this site, you are welcome to contact us.